Currently, the product design manufacturing will be become very important. People with innovative minds will always think of how to come up with new products. However, if you are not careful enough, your product may end up failing terribly despite the extra costs that you may have incurred in creating the product. 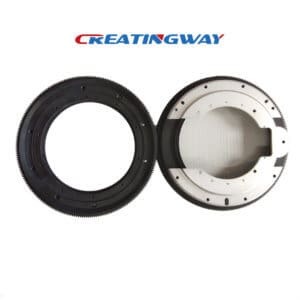 If you sit down and reflect on the entire process of the product creation, you will come to realize that product design manufacturing is not easy, considering the many components and the costs involved. It is important to learn about the basics that will lead to the product success rather than failure. New Product Design Manufacturing and how to prevent product failure? You want that your product to succeed once it hits the market, don’t you? But what can you do to prevent product design manufacturing failtures? The following are some of the tips you can do to ensure that it doesn’t fail. You will need to establish the things that will make your idea practical. Iterative design approach involves revisiting the original premise of your product, in order to establish what works well for your product success or failure reasons. If something isn’t working to your expectations, then you need to make some modifications, so that the product doesn’t suffer the failure fate. This approach is essential as it allows you to prototype test and refine your product until you are confident that once it hits the market, it won’t embarrass you. The modifications done in this approach also allow you to not only improve the functionality of your product but also the quality of the product design. Most people do not know the powers behind rapid prototyping as far as the success of the product design is concerned. Rapid prototyping is the best way of revisiting your original business idea to establish whether you are on the right track in achieving the intended goals. It is very important that product development has never been a smooth process, especially due to the limited amount of funds available. By using cost-efficient prototyping methods, you will end up saving your time and money. To enable you to spend little money and at the same time have a quick delivery of your product, it is suggested that you choose one of the following rapid prototyping methods. This is an excellent process that allows you to prototype your product using various varieties of materials. The CNC turning and milling quickly enables you to create highly accurate products. With vacuum casting, you can easily create more than 100 top quality prototypes for initial testing. In this process, a master mold provides you with a guarantee that the initial product you send out for testing is of exceptional reliability and that the batch is identical. In fact, the low cost is one of the factors that make this process excellent and interesting, included ABS, PC, etc different materials choice. As a rapid prototype manufacturer, 3D printing allows you to understand your product iterative. This process enables you to test, evaluate and quickly remodel your capabilities to adopt the technologies, it will ensure that you have come up with flawless product designs. It also makes it possible to eliminate errors that may make your product to fail once it hits the market. We are always committed to helping you to produce a low volume production for testing out, in order to establish if your product is fit to succeed in the market. We also provide you with various prototyping methods that will make your product succeed. Once you start to work with us, you will have every reason to smile as your next product idea becomes a reality.